Is the cure for the ills of democracy more democracy? Is it possible to have too much democracy in a well-functioning government? What should an electoral democracy ideally look like? In this critical examination of the state of electoral democracy in the United States, Matthew Streb provides an analysis of the major debates that rage among scholars and reformers on subjects as diverse as the number of elections we hold, the use of nonpartisan elections, and the presidential primary process. Ultimately, Streb makes an argument for a less burdensome democracy, a democracy in which citizens can participate more easily. 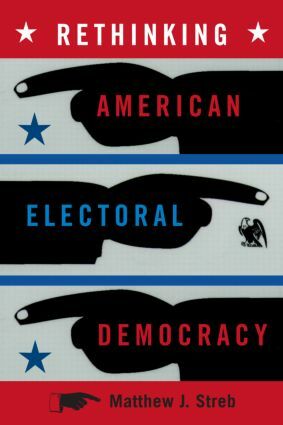 Written in a clear and engaging style, this book is designed to get students to think critically about what it means to be democratic and how democratic the United States really is.